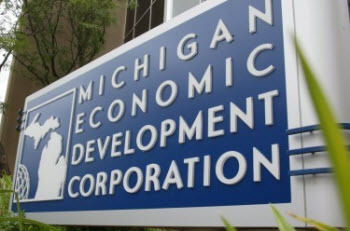 A recent Auditor General’s report found that the Michigan Economic Development Corporation has failed to establish a comprehensive method to properly evaluate the effectiveness of one of its major programs: Renaissance Zones. From the inception of the Renaissance Zone program in fiscal year 1995-96 through fiscal year 2009-10, the MEDC abated $820 million in taxes. Taxpayers should expect their government to effectively analyze the effectiveness of a program of this size. MEDC claims that 12,632 new jobs were created in Renaissance Zones over the period in study. The Auditor General pointed out that MEDC did not adequately check whether the number of jobs reported by firms was correct, but even if that were the true number, each new job cost $65,000 in reduced tax revenues for state and local governments. Surely this is worth extensive examination by the MEDC and the legislative oversight committee. His point is that a major problem with economic development through government agencies like MEDC is that some businesses pay higher taxes than others simply because they have fewer connections or are located in an area that is not favored by the legislature or bureaucrats. Not only has the MEDC not evaluated the effectiveness of at least one of its major programs, it has failed to provide legislators with basic information about some of its budget. Last session, Rep. Bob Genetski, R-Saugatuck and a member of the House Appropriations Committee, was unable to obtain details of MEDC’s Travel Michigan budget despite numerous requests. The problems with MEDC go back for years and the complaints are bipartisan. MEDC has not been run by incompetent people. Some of its CEOs and board members have been and are personal friends of mine. I know them to be talented, hard-working, honorable people. The problem is structural. Governmental programs that give tax benefits to some firms and not others must be political. It is the political process through which the benefits are put into place and distributed. In the market process, firms succeed due to the ability of entrepreneurs to produce goods and services that consumers are willing to pay enough for to meet the cost of the resources used up in production. When government provides benefits to some firms and not others it redirects resources away from production towards obtaining the benefits handed out through the political process. This is both unfair and inefficient. The Auditor General’s report will ultimately prove most useful if it sparks debate about whether the MEDC and all of its various programs should be scrapped in favor of reducing the taxes for all firms. Reports from the Office of the Auditor General have been reporting that MEDC has not met the proposed increase in jobs that their programs are suppose to have since around 2002. The MEDC does not nor have they ever placed any emphasis on verifying if the outcomes meet the number of jobs that were supposed to be created by any of the programs where funds were provided that were to result in an increase in jobs. These findings seem to fall on deaf ears in the executive and legislative branches. These programs seem to be designed to promote selected companies rather than promoting jobs overall. All companies should be given the same opportunities.